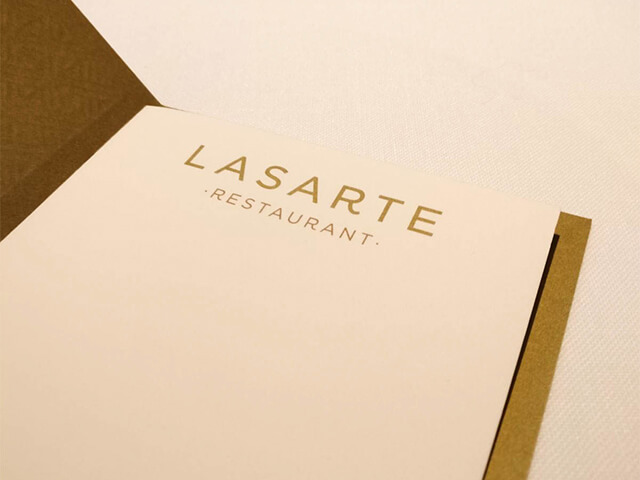 Lasarte opened in January 2006 and won its first star after just one year. A second star followed a few years later and was awarded its third in 2017. While Berasategui leads the creative vision, the man responsible for the day-to-day operations is Italian chef Paolo Casagrande. The head chef adds his own stamp of high elegance and creativity, drawing inspiration from the Basque background of Berasategui and local Catalan flavors. As Barcelona is a sea-facing city, seafood features extensively. There are dishes featuring scallops, shrimp, crayfish, sole fish, sea bass or tuna. Spanish meat favorites like lamb shoulder, Iberian presa, ox, pig trotters, pigeon or ham are all on offer as well. Wanting to get the full experience we opted for the tasting menu (235€). The restaurant also the Lasarte shorter menu for 205€ tasting and a la carte. The tasting menu had a total of 24 dishes (including hors d’oeuvres and petits fours). Describing every dish will make this the longest blog post in history so we just included the highlights including some classics and some more recent dishes. We were especially excited to see two pillars of Berasategui’s cuisine. It is almost ironic that such an iconic chef is best known for a salad. 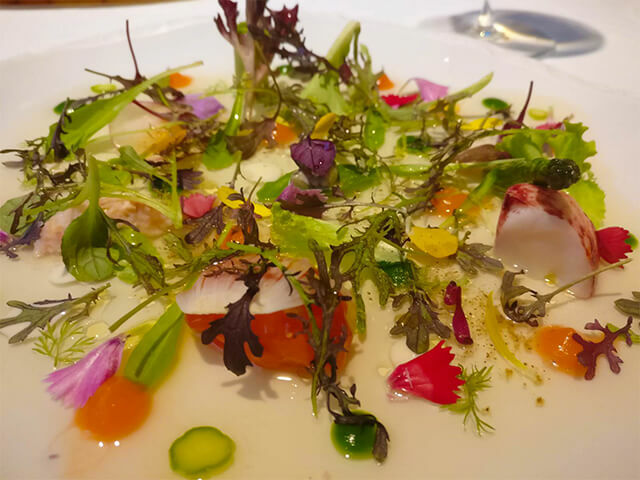 With fresh vegetable leaves, petals, herbs, sprouts with lettuce cream and lobster, this dish is one of the most beautifully constructed, elegant and understated one can taste. 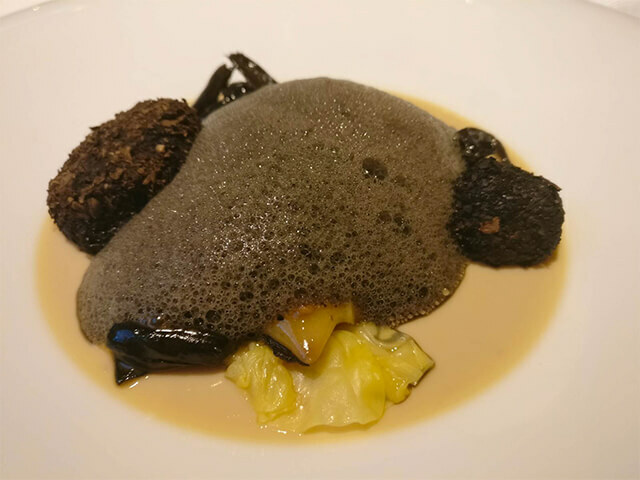 The salad was followed by another well-known dish – “La Trufa”, a dish of fermented mushrooms, collard greens, covered with truffle foam, which finely hides gorgeous shavings of black truffle. This dish is so earthy that when you take a bite you feel whisked away to the rolling fields of Gúdar-Javalambre the home of truffle in Spain. 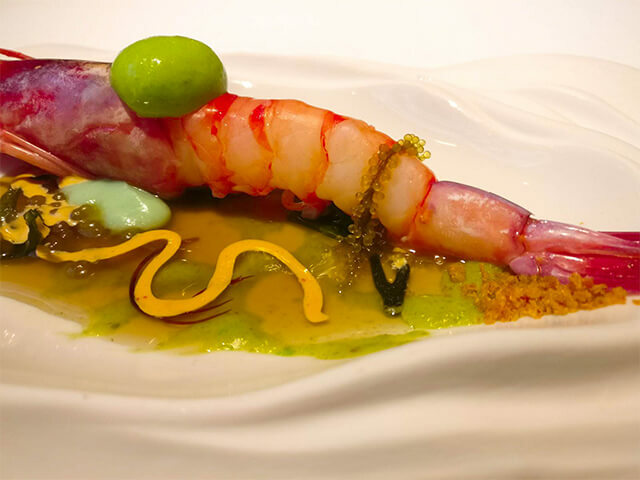 A palamos prawn – without which no tasting menu in Catalonia is complete, was the next dish that was very memorable. With its bright red color and incomparable freshness, there really wasn’t a need for much else. Yet the maritime waft of iodine, coral emulsion and codium seaweed added another level of fresh ocean flavors and aromas. There are clear reasons why Lasarte is one of the leading Michelin star restaurants in Barcelona. There was great attention to the details from the devour, though the service to the food. The food is elaborate in style and very flavorful. If you´re looking a top restaurant in Barcelona for a special accession Lasarte is a great option.